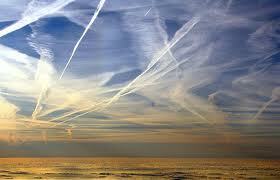 Geoengineering: Dangerous Proposal Or Lethal Reality? In recent years there have been numerous scientists and scientific agencies discussing the challenges with global warming and suggesting ways to remediate further global warming from occurring. These solutions, labeled as “geoengineering”, range from the realistic and possible, to the clearly impossible and absurd. The question is: Is geoengineering currently being advertised as a ‘proposed solution’ when in reality geoengineering is already taking place? If geoengineering is occurring, is it a reasonable strategy to combat global warming, or is it a potentially catastrophic measure that has lethal consequences? Lastly, is the intent of geoengineering being advertised to the general public as a way to stop the problems associated with global warming, when in actuality there are other agendas taking place? The massive elephant in the room is that geoengineering programs are real; they are currently being deployed across the globe and have been for at least several decades. Stratospheric Aerosol Geoengineering (SAG) and Solar Radiation Management (SRM) are programs designed to saturate the stratosphere with reflective aerosols through the use of modified jet aircraft. Unfortunately, most scientists are either turning a blind eye to SAG and SRM, or are simply misleading the public intentionally as to their existence. These programs are stated in numerous patents and documents (about 150), are openly discussed in U.S. Congressional hearings on weather modification, and are outlined by numerous scientific agencies including the Royal Society, the United Nations, and the UK Meteorological Society. Those unconvinced of the current deployment of such aerosol campaigns need only look more closely at the available data now accumulating across the globe. An objective analysis on just the surface can convince even those who are most skeptical that indeed geoengineering is occurring and there are devastating effects taking place. Consistent horizon-to-horizon aircraft trails that slowly expand and merge until the entire sky is often covered with a blanket of artificial cloud. Bright trails that seem to dissipate (but leave the sky a silvery white, often with “cob web” like wispy clouds) appear to be yet another method of dispersing geoengineering particulates. Elements such as Barium, Aluminum, Strontium, and Manganese showing up in lab tests of precipitation in lethal quantities across the globe. For example, a lab test for a single rain event taken in Shasta County, California in 2006 measured 7 parts per billion (ppb) for aluminum, already high, and less than five years later at the same location a single rain event measured 3450 ppb for aluminum. This is an increase of nearly 50,000%. According to the California Air Resources Board (CARB), which has studied aerosols migrating from China and other locations around the globe, elevation in aluminum ratings are NOT due to any aerosols that may be migrating from China due to their industry. Tests have determined that the soil PH has been so radically changed in the forests of the Pacific Northwest, that tests from Shasta and Siskiyou Counties for example, have changed as much as 15 times toward alkaline. Aquatic insect populations have been severely affected by metal contamination in the formerly pristine watershed in regions of northern California. Aquatic insect population has declined as much as 95%, according to 35-year US forest Service veteran biologist Francis Mangels. “Global dimming” — the reduction in the amount of global direct sunlight that reaches the earth’s surface -– has increased 20% due to reflective metal particulates in the atmosphere reflecting sunlight. Global drought is now the norm with few exceptions. Verified massive ozone holes are now present over the northern and southern hemispheres. Atmospheric conductivity has increased radically, thus leaving the earth more prone to increased lightning strikes. The Arctic Methane Emergency Group (AMEG) has recently called for “emergency war-time-scale geoengineering” to avert a planetary emergency unfolding in the Arctic — an attempt to stop the imploding Ice cap and methane mass expulsion. The US military has repeatedly stated its intense interest in such programs for strategic military purposes, i.e. “Owning The Weather By 2025″ (pdf here). Some may be shocked to know that the above examples exactly match the expressed goal of numerous geoengineering patents. In addition, the metals that are showing up all over the globe also precisely match the elements named in numerous geoengineering patents. It does not appear that this bombardment of toxic materials (notably aluminum, barium, strontium) is decreasing either; on the contrary, it appears to be increasing rapidly. Unfortunately, many government officials, including Obama Science advisor John Holdren, have openly stated their support for global aerosol geoengineering. In the midst of all this metal showing up in our soil and water, our forests are suffering huge losses. Forest fires are out of control around the northern hemisphere. At of the end of August, over 74,000,000 acres burned in Siberia alone. Many other countries have had prolonged states of emergency from record wild fires as well. Drought, the main consequence associated with geoengineering aerosols, also is reaching an epidemic level this year. It is important to understand how forest fires and drought apply to geoengineering. In addition to robbing the environment of moisture, an atmosphere saturated with geoengineering particulates also increases atmospheric conductivity. With the forests at record low moistures levels due to the drought this year, the effects of the SAG and SRM have proved a devastating combination as dry-lighting strikes have become widespread, thus fueling spontaneous wildfires. Clearly, with geoengineering, the weather on the earth can be modified by the timing and quantity of particulates being sprayed into the environment. This begs the question of the true intent of geoengineering. Is it a potential way to gain power via control of the weather rather than a proposed solution to prevent global warming? It appears as though the primary motivation for pursuing geoengineering by the U.S. military may be the strategic advantage of weather modification during times of war. Controlling the weather creates a powerful force multiplier for a nation’s military during a conflict. For example, if one nation were able to ground an entire country’s air force because of severe weather, or create a drought so bad that a nation is weakened internally and rebellion against its leaders takes place, a nation could win a war before firing the first shot. The U.S. military historically has been vocal about the desire to be able to modify the weather going back to the 1940’s, when they partnered with General Electric, which was researching weather modification at that time. For the third time, the president of Iran has stated that he believes his country is the victim of ongoing NATO weather-modification assaults that have left his country in a dire state of drought. Officials in Pakistan also have made similar accusations. Recently, when the government of Thailand drug its feet in regard to granting a new base in their country for the U.S. to “monitor” weather changes (conduct weather modification?) they were decimated by record flooding. Coincidence? Closer to home, don’t overlook the still-worsening drought decimating the continental U.S. Is it yet another coincidence that Monsanto (the world’s largest genetically modified seed company) has introduced its newest drought- and aluminum-resistant corn in the midst of this unfolding disaster? This point is well documented in the recently released film “Why In The World Are They Spraying” produced by film maker Michael Murphy. Murphy also documents in the film the weather derivatives market, which amounts to casino bets place on weather catastrophes — where they will occur and who they will effect. Could this be the corporate/industrial/military complex manufacturing weather catastrophes and then making massive profits of the damage done? All indications point towards a new type of profit-investment market, disaster capitalism. Who are the players that appear to be involved? Things that can be said for certain are, The Raytheon Corporation, which is up to its neck in weather-modification patents and appears to do all the weather modeling for The National Oceanic and Atmospheric Association (NOAA) and the National Weather Service. Another player in this gamble on the future of our planet is The Lockheed Martin Corporation, which is also heavily invested in the weather modification business and appears to do all the weather modeling for the Federal Aviation Administration (FAA). Could the foxes be watching the hen house? Are they predicting weather at this point, or giving us the “weather schedule”? If they were, would they want to disclose this? Many ask if the materials that are being deposited in our atmosphere are part of jet fuel, or are they part of a “payload” delivery system that is actually sprayed, however all data points to the latter. First, there is already a patent for a “powder contrail generator” which would be used for this exact geoengineering purpose. Next, the massive amount of metal aerosol tonnage proposed by geoengineers to be dispersed on an annual basis (20,000,000 tonnes according to internationally recognized geoengineer David Keith), is simply far too much for any type of fuel additive. There are also countless compelling photos and extensive film footage that clearly indicate spraying from separate nozzles on the plane. Shockingly, some of this footage actually shows spray coming from the front wing of a rear-engine jet, with visible spraying from nozzles starting and stopping at various times. So, why in the world are they spraying if it is doing so much damage to the planet and life on earth? It would seem because they can, and there is no one to stop them. The craving for absolute control appears to have no bounds or limits even if that quest puts the seekers themselves at risk. Why did the same power structure feel the need to detonate more than 1,800 nuclear weapons even though that has contaminated all life? Why has the same power structure constructed a nuclear arsenal large enough to destroy life on earth some 12,000 times over? Coming up with an answer to such questions is difficult. What it is possible to say is that a mountain of data confirms the harsh and lethal reality of global geoengineering. The ongoing spraying appears to be completely disrupting all natural weather patterns, creating catastrophic global droughts, shredding the ozone layer, contaminating our soils and waters, and even more critical, poisoning every breath we take with microscopic metal and chemical nano particles that are extremely damaging to the human body. As if all this was not enough, the damage done to the planet now appears to have reached a critical point. Catastrophic methane release has been triggered on the East Siberian shelf of the Arctic. Though methane is often considered to be about twenty times more potent a greenhouse gas than C02, this is over a hundred-year time horizon. Over a twelve-year time horizon, methane is considered to be perhaps 100 times more potent than CO2. To put this in context, the methane release that has been triggered is a global game-changer in and of itself, with potential consequences that are unimaginable. Global geoengineering is literally putting life on earth in a dangerous balance. All available data has led this author to the conclusion that short of nuclear annihilation, the ongoing global geoengineering atmospheric spray programs are the greatest and most immediate threat to life on earth. So what can we do? Raise awareness at a grass roots level. This is the only way to battle this issue. All governmental agencies and representatives are part of the corporate/industrial complex and no ground can be gained through the “system”. I say this after ten years of effort working in conjunction with the California EPA, the Cal Energy Commission, the Cal water quality, the USDA, USFS and other institutions. Only when the population at large is made aware of the fact that they are being sprayed like lab rats can the geoengineering be brought to a halt. If the population is aware, military personnel and families will then be aware, and we would hope they would at some point refuse to participate in their own demise. There are many good people in the military that would care if only they were informed. Certainly, they will never be told by the system they are in. How do we raise awareness? From our own home computers we can all work to locate and identify people, groups, and organizations that would care if they only had a clue. These groups can include journalists, environmental organizations, ADD groups, Alzheimer’s, autisms and agriculture organizations. The list is endless. The film mentioned above, “Why In The World Are They Spraying” can and should be handed out. The film producer has generously allowed reproduction as its goal is to get the word out, not for profit. (Though it should be mentioned that the only way the film producer’s efforts can continue is by film sales, so if you really want to help, buy at least one commercial copy then make duplicates from that). The website “geoengineeringwatch.org” is also a tool for educating. Dane Wigington has an extensive background in solar energy. He is a former employee of Bechtel Power Corp. and was a licensed contractor in California and Arizona. Personal residence was feature in a cover article on the world’s largest renewable energy magazine, Home Power. He owns a 1,600-acre “wildlife preserve” next to Lake Shasta in northern California. He focused his efforts and energy on the geoengineering issue when he began to lose very significant amounts of solar uptake due to what ever-increasing “solar obscuration” caused from the aircraft spraying as he also noted significant decline in forest health and began testing and research into the geoengineering issue about a decade ago. 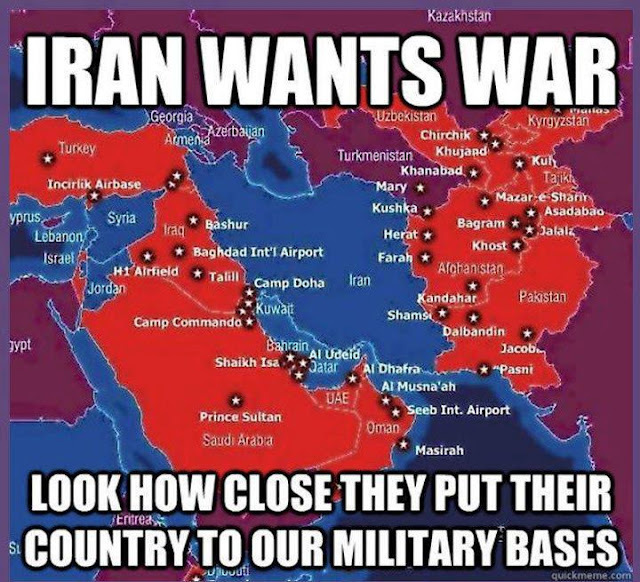 "Washington handed Iraq to Iran"